Interview with RainerTachibana | Cosplay Blog… with a Brain! It’s time for another interview, this time with RainerTachibana! 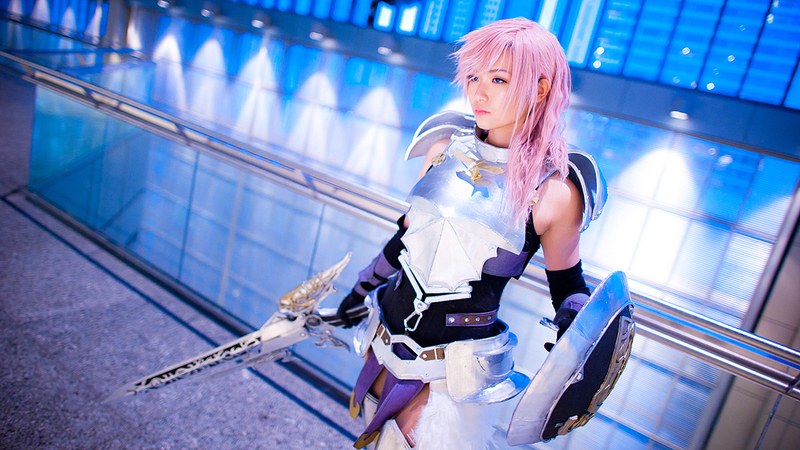 She’s a talented cosplayer from Singapore, who has an awesome costume collection! The username I chose for my Deviantart account is RainerTachibana, or just Rainer for short. I understand that Rainer is a German name, but when I typed the ‘Rainer’ in my name, I simply meant it as ‘Rain’ with an -er suffix, and Tachibana was a Japanese name that sounded cool to me at the time; there’s really no deeper meaning to it. In retrospect, I wish I’d put in a bit more thought to choosing my alias, but it’s a little too late for that now, I suppose! How many years have you been cosplayin g and what got you started? My first cosplay was at Cosfest in 2006, an annual cosplay event in Singapore. I was an avid watcher of anime back then, and I played a lot of games (still do), so naturally I was fascinated by the idea of cosplay. I wasn’t initially keen on trying the hobby myself till I saw cosplayers at an event in real life for the first time in 2005, and that kind of convinced me to give it a shot, just for fun. My interest grew from there. I think the material most commonly used in many of my costumes is craft foam. A quick search online will yield many awesome tutorials for craft foam armor or props, if anyone’s interested. I use it for almost everything that isn’t fabric – armor, props, and embellishments. It can be layered and then shaped by heat to almost any form, which is great for armor pieces, and it flexes, bends, and folds but doesn’t break. It’s probably one of the most versatile materials around. It’s also pretty cheap, so I just buy packets of the stuff (or rolls, for larger sheets) to use as and when. I also love making accessories and little knick-knacks to go with costumes, like hair ornaments and pendants, for example. I enjoy beading and working with gems and little metallic details. Pearls are a personal favorite, so any accessory that has pearls in it will be tackled with much enthusiasm. Right now I’m not thinking of trying anything new. It’s back to basics for now. I’ve started making the majority of my costumes on my own, so I really want to make sure I’m producing work of good enough quality before moving on to trickier things. Since I’m focusing on costume quality at the moment, I’ve been looking at outfits with unique fabric choices, intricate detailing and good tailoring. I’m a sucker for detailed costumes, really. Yaya Han (http://yayacosplay.deviantart.com), and Lillyxandra (http://lillyxandra.deviantart.com) from dA are my current inspirations; I’m learning so much just by looking at their photographs! I’d really love to follow their example. I think it’s very important to understand that while cosplay is an enjoyable and potentially addictive hobby, it’s just that – a hobby. It shouldn’t eat too much into one’s life and monopolize one’s finances. I cannot stress enough the need to budget, and this is especially so for the younger cosplayers who aren’t yet earning their keep. Set a reasonable budget and, no matter what, keep to it. Cut costs by making whatever you can yourself, and if you don’t have the skills, pick some up. I’ve also heard that some actually skip meals just to save money for cosplay. Please refrain from doing this, it’s extremely worrying. Cosfest, an annual event held in Downtown East, Singapore, is a favorite. It’s arguably the most popular convention here, being one of the very few Cosplay-centric events in the country, and almost every cosplayer attends, in costume or otherwise. It’s a two-day event, so the common practice is to book chalets and stay at the event area overnight with friends. Hanging out after event hours is a blast, and a welcome break from work and life, even if just for a weekend. Give a random fact about one of y our costumes that you’re proud of! The lit cigarettes I used in my Osaki Nana cosplay aren’t actually cigarettes, but no one noticed. Just something random that I thought was pretty funny! Thanks for the interview, RainerTachibana! You can see more of her work on her Deviantart and her blog!